In Japan in the late 1980’s someone noticed a hearts pattern when looking at the back of a diamond through a Firescope™– the Hearts & Arrow’s viewer was born, and diamonds with H&A’s patterns became very popular in Japan. In the mid 90’s H&A’s arrived in USA. From the top, a diamond shows an arrows pattern and when flipped over to the pavilion side you see 8 hearts with small ‘V’ shapes. A true H&A’s has the patterns visible at a single glance indicating the diamond has optically perfect symmetry. When buying H&A’s online the only way you be sure the diamond is a true H&A’s is to see actual photos of the stone as there are few grading standards for H&A’s. Some wholesale dealer’s version of H&A’s can be rather chaotic. Only some Japanese labs, HRD and IGI grade the quality of the H&A’s patterns. 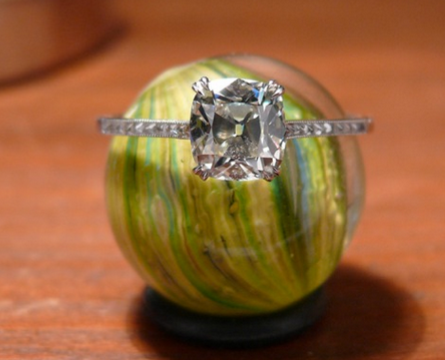 The most popular labs with many Pricescope forum members – AGS and GIA – do not grade H&A’s. Be aware that GIA and some other labs note on grading reports that there is a Laser Inscription of “H & A” on the diamonds girdle. This is not a grading of H&A’s – they are simply reporting the inscription on the diamond. 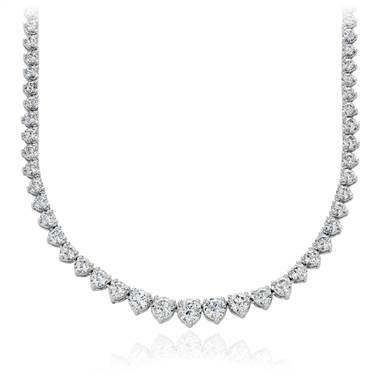 Diamonds with H&A patterns are frequently among those with top performance. However there is no proof yet that the absence of H&A optical symmetry (or any other type of pattern) means that a diamond will have lesser performance, as it’s the overall geometry of a diamond that determines its light performance. It is possible to produce H&A diamonds with inferior performance and some experts suggest diamonds over 10ct should probably not be cut to show H&A’s patterns. 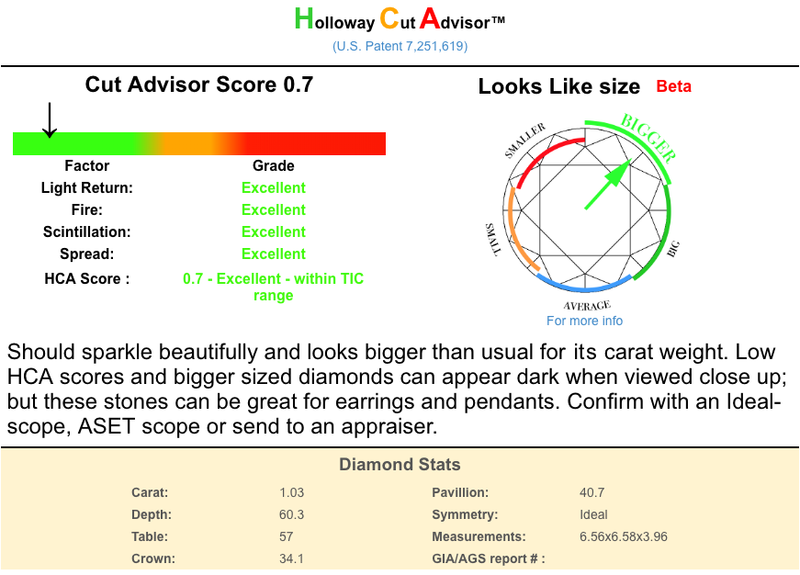 H&A viewers can help you identify the level of optical symmetry in a diamond, but not its performance. We urge you to compare all diamonds in different lightings (not just bright jewelry store lights) and use other methods and tools to look for legitimate proof of performance when making your purchasing decisions. Some brands of H&A’s, like Hearts on Fire® have been very successful in retail stores, and there are also several online brands, White Flash sponsored the following article detailed article.